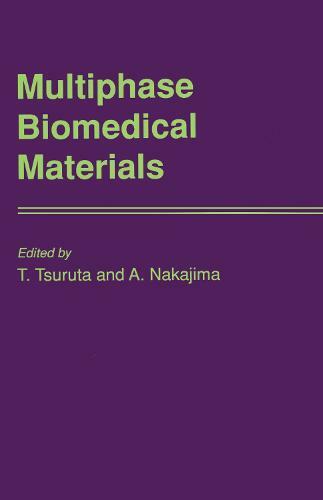 Following many reports that were published in the last two decades on correlations of multiphase structures of the surface of materials with their antithrombogenicity or biocompatibility a research project ''Design of Multiphase Biomedical Materials'' was carried out in Japan between 1982 and 1986. The objective of this research project was to elucidate various aspects of biomedical behaviour of multiphase systems at the interface with living bodies at the molecular, cellular and tissue levels. Multiphase materials studied cover polymers having microphase-separated structures, hydrogels, immobilized enzymes (or cells), ceramics and metallic materials. The research project was carried out by the following subgroups: -- Multiphase biomedical materials with microdomain structures -- Multiphase biomedical materials containing liquid components -- Hybrid-type multiphase biomedical materials with biological components -- Inorganic and metallic multiphase biomedical materials -- Methods for analysis and evaluation of multiphase biomedical materials This book contains the results of the research project in an edited form and aims to provoke a better understanding about various aspects of cell--material interactions in which the multiphase systems play a crucial role.